In addition, this powerful converter now also lets you customize the Precision of the vectorization process. This means you can decide on the number of elements used in the polyline that will render objects in the output vector. The lower the precision percentage, the less elements will be used. For example, if your input image is a circle and you choose a Precision level of only 10% or 25%, the output rendering will be a polygon with a varying number of elements. Add one or more raster images you intend to convert into vectors. reaConverter can read over 640 different formats, including all kind of rasters and many more. 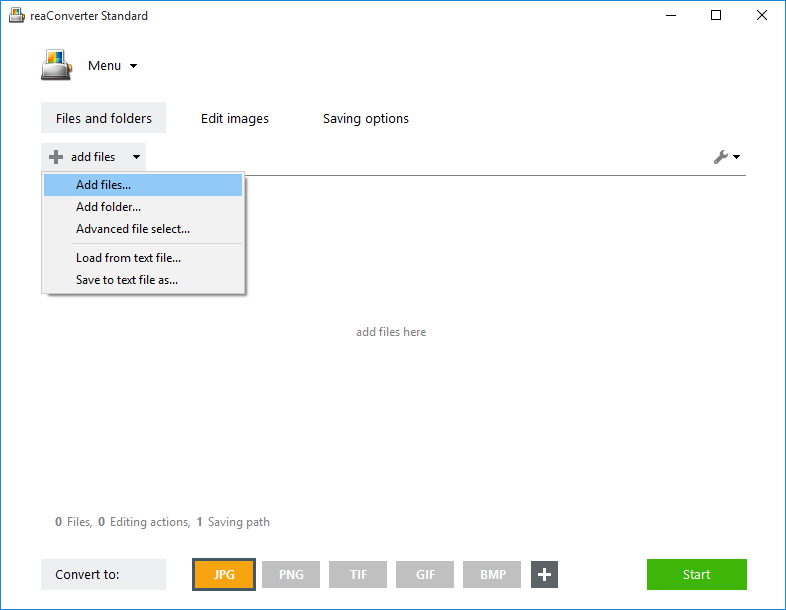 You can add them one by one, add entire folders or use the Advanced file select option, which lets you pick batches of images according to size and extension. Here you can set the Precision level of the output vector image as a percentage from the input raster. In the Saving settings tab, opt for saving your vectors. 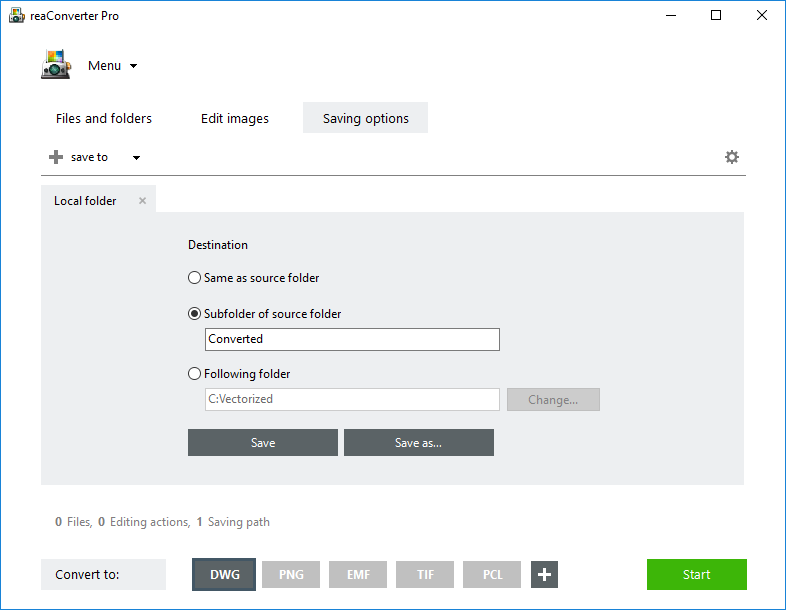 You can conveniently choose a local folder or save directly in a storage cloud. Last but not least, choose the output vector extension from the Convert to area. reaConverter can write into 6 Adobe vector formats, but supports many other types of vectors as well. Then simply press Start and wait for your new vectors to be ready! 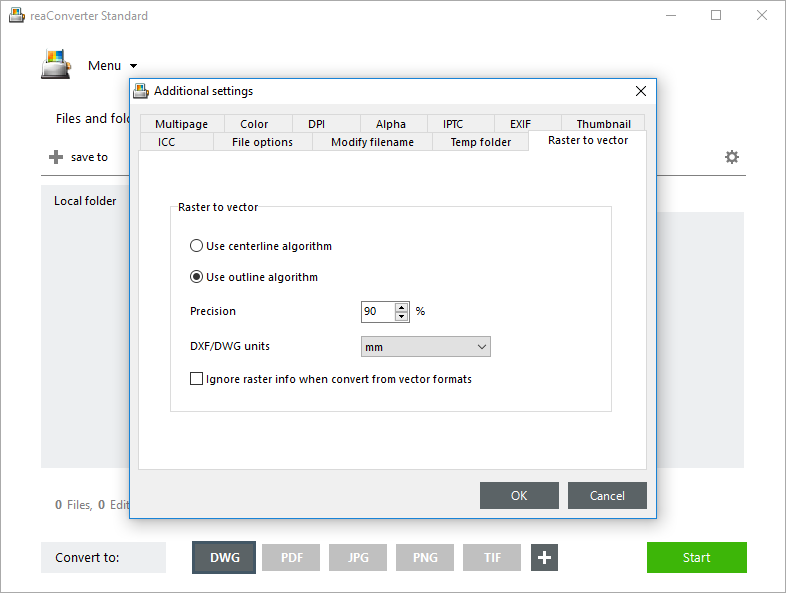 Advanced users can use our command line tool or DLL to vectorize raster images in manual, automated or scheduled mode. You are welcome to contact our technical support when you have any questions about reaConverter.